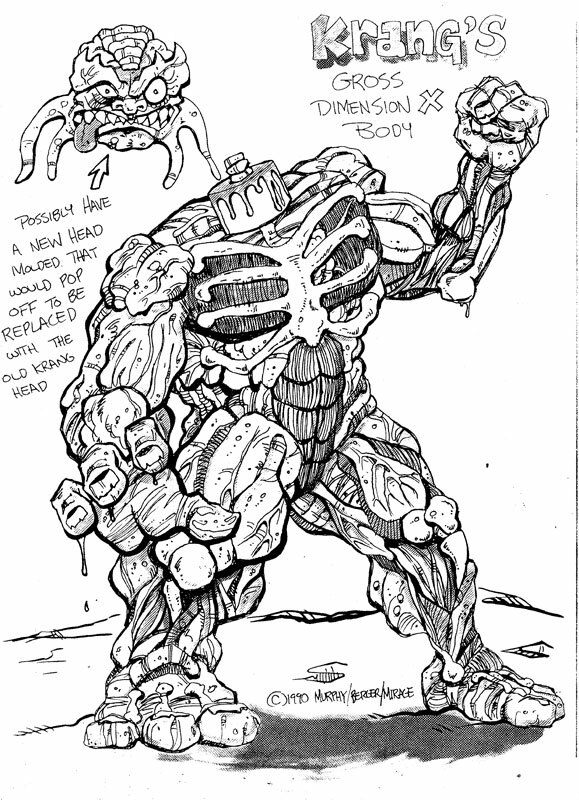 So, you ever wonder what Krang's original body looked like before he was banished to Earth from Dimension X? 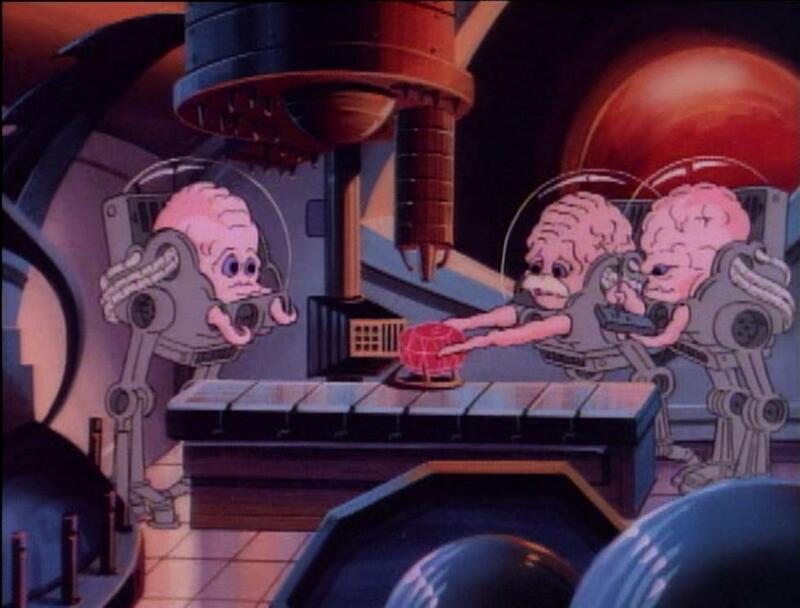 Although Krang was based in appearance on the Utroms from the original Mirage TMNT comic series, his brainy, tentacled look was supposed to be unique to him alone. As he explained in the season 1 episode "Hot Rodding Teenagers From Dimension X", his body was destroyed when he was banished to Earth. But let's just forget about that. 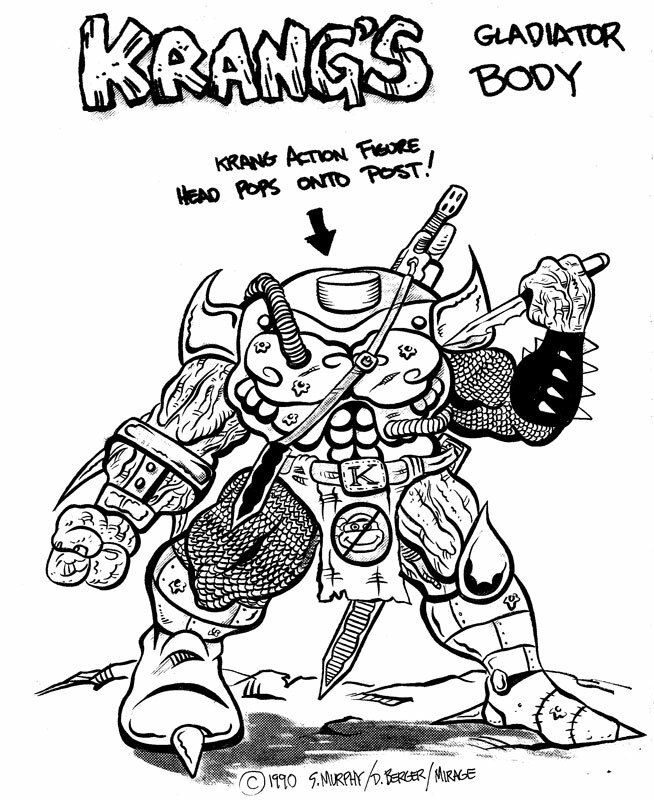 The mystique of Krang's original appearance inspired the duo of Steve Murphy and Dan Berger who, among other occupations, designed action figures for the Playmates TMNT toyline. Both designs were rejected by Playmates, alas. So there you go. 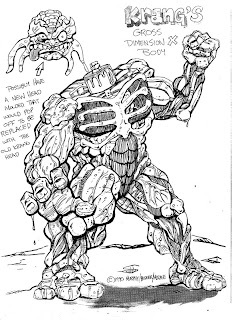 Krang originally looked like a t-rex with amazing abdominal muscles. 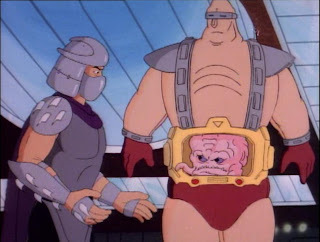 "Old Man Krang with a mustache" makes me happy, for some reason. 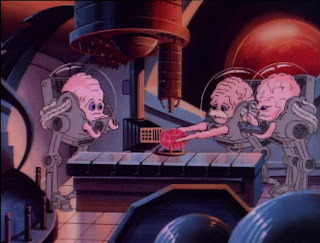 But "Invasion of the Krangazoids" disappointed me even as a kid; Krang's real body look so...generic. 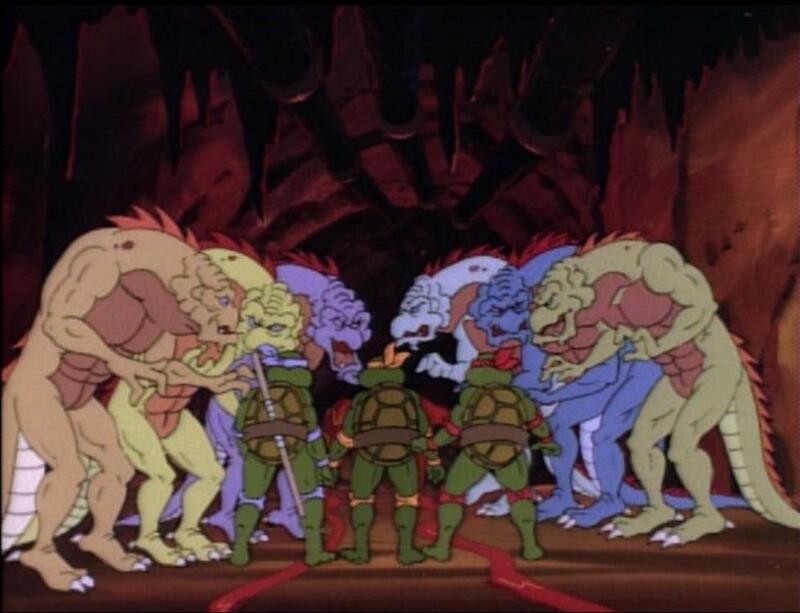 And even then I called BS on their anatomy; Krang was a brain! Their heads shouldn't have had the exact same outline! We just shouldn't know Krang's true form. It should be mysterious and incomprehensible, like a Lovecraftian deity. Wow I've never seen those Playmates sketches before, thanks for posting them. 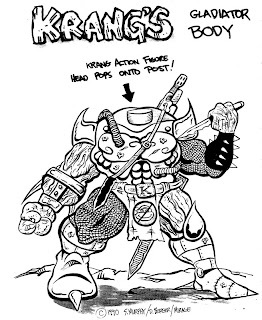 I wonder if this is why Murphy did that Archie storyline where Krang places himself on Shredder's body, possibly some other way of toying around with the concept after the Playmates toy ideas were rejected? 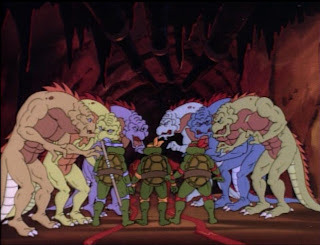 Man, Playmates denied us some great action figures!